You don’t have to know jazz music to know the name Oscar Peterson. However, attending Niagara’s 2nd Annual Oscar Peterson International Jazz Festival is certainly a great way to learn more about both. Peterson, of course, is the Canadian jazz pianist and composer who was called “the Maharaja of the keyboard” by fellow jazz legend Duke Ellington. The Montreal-born Peterson is considered one of the greatest jazz pianists ever, releasing over 200 recordings, winning eight Grammys and being forever immortalized in statue form as a tribute to his 60 year career. It’s fitting then that his name continues to live on with a festival in the heart of Niagara wine country. Peterson says last year’s inaugural event exceeded expectations, attracting people to the region from Boston, Chicago and NYC and areas across Southern Ontario. It also helped give festival organizers some valuable insights into what it would take to make this year’s three-day sequel even better. 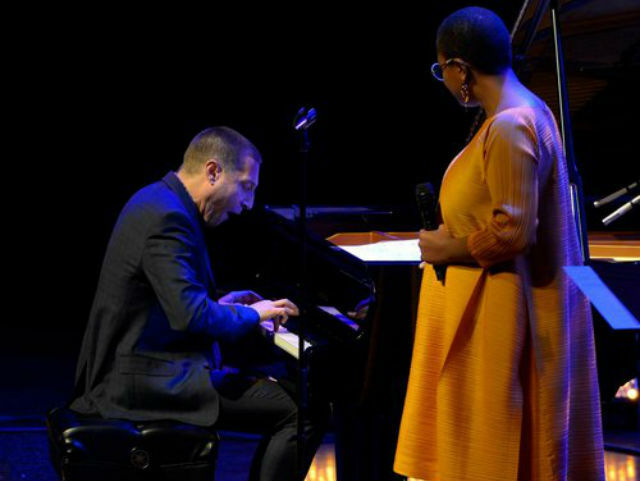 The 2019 International Oscar Peterson Jazz Festival certainly has a line up to achieve those objectives. Opening night at Niagara-on-the-Lake’s St. Mark’s Anglican Church hall, for example, will include the JUNO Award-winning Christine Jensen Jazz Orchestra featuring trumpeter Ingrid Jensen. A highlight of opening night will be the world premiere of Jensen’s tribute to Oscar Peterson, an original composition commissioned by the festival called “Something In His Smile.” For Peterson, who lost her beloved husband in 2007, the tribute will have special meaning. Besides the opening night headliners, this year’s festival features a who’s who of contemporary jazz, including Kenny Barron, Bill Charlap, Niki Haris, Joe Lovano, Kirk MacDonald, Russell Malone, Lewis Nash, Jeremy Pelt, Renee Rosnes, Reg Schwager, Neil Swainson and Peter Washington. And if you don’t know those names, don’t despair: even if everything you know about jazz came from a screening of La La Land, Peterson says the festival provides an incredible opportunity to dispel misconceptions about the genre while discovering the diversity, energy and sheer joyfulness of swinging jazz played live at all three venues. For a full schedule of festival performances, visit: https://www.opjazzfest.org/.